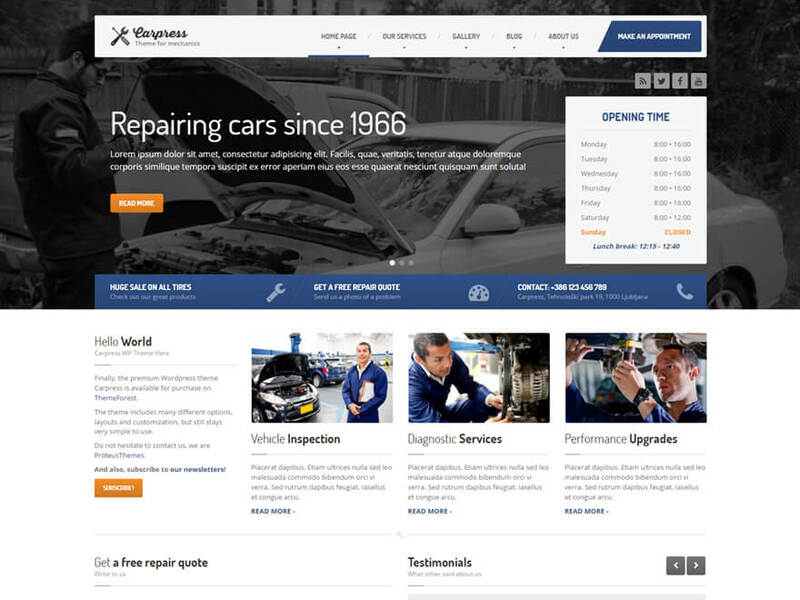 CarPress is the perfect WordPress theme for mechanics and repair shops. 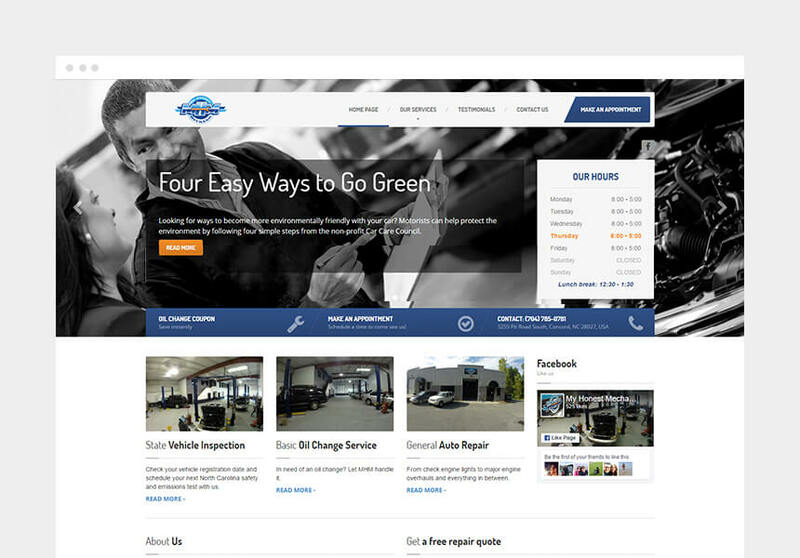 Although this user-friendly theme is so versatile that any kind of repair business could use it. It has everything you need to strengthen your business’s online presence. 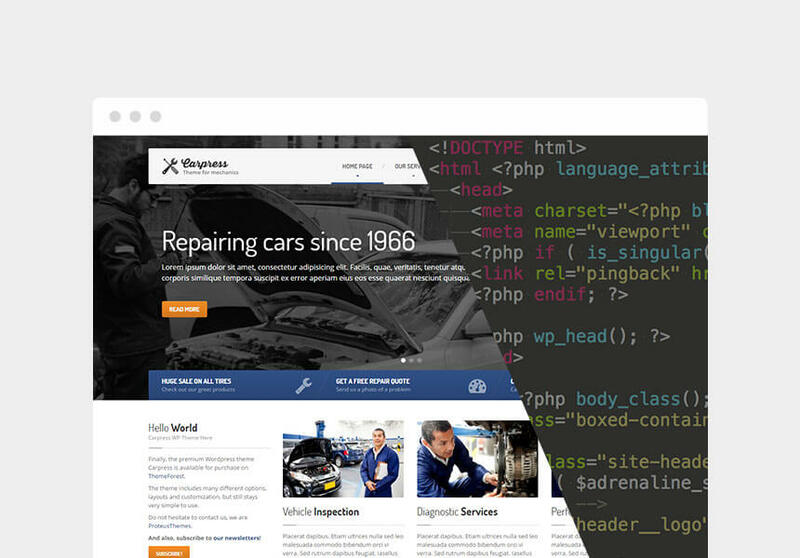 Choose from many custom widgets and make your website in minutes. 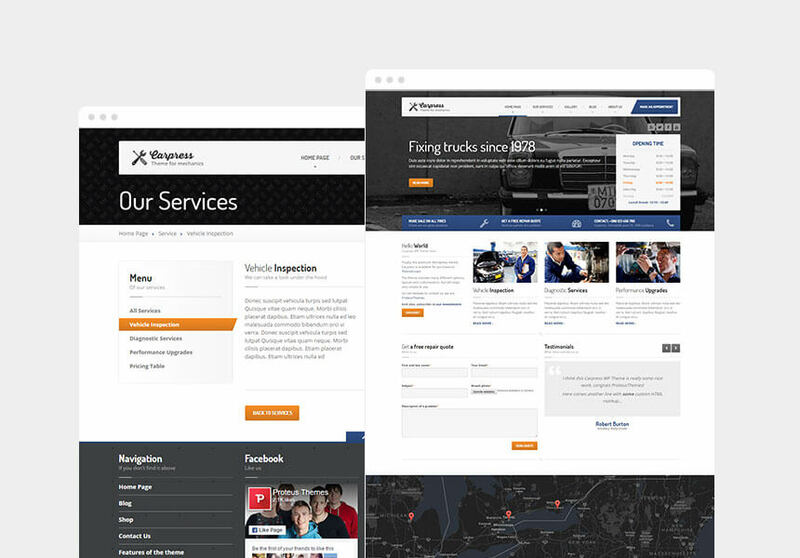 From contact form, to person profiles, opening times, to pricing tables and detailed service widgets, Carpress has it all. Anytime I submitted a ticket, they would respond VERY fast. This is by far some of the best customer support I have seen in a while. Recently had a simple problem with my site title (which I thought was due from a plugin). I waited 3 weeks for a solution from the plugin guys but got no where with it (they said it was a theme problem). 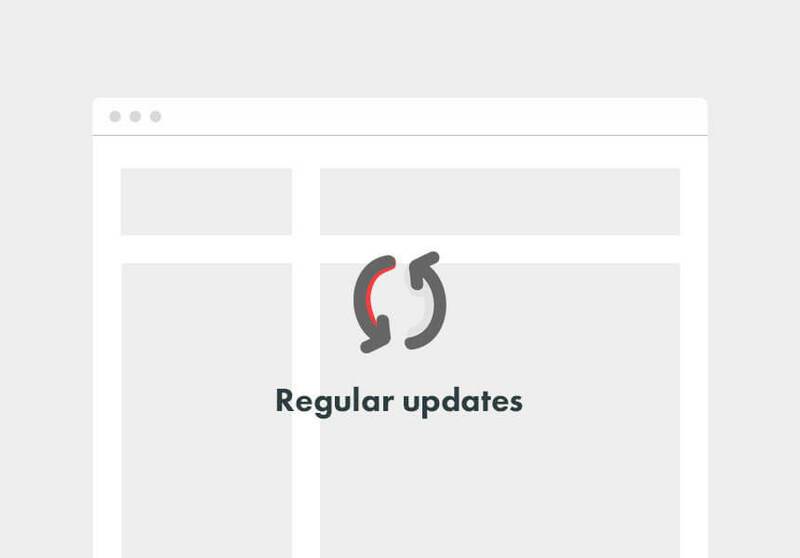 I contacted the support theme here and within 2 days they had it fixed. This is a fantastic design that my clients loved and was very functional for me to get deployed. The devs were very responsive and easy to work with for some customization I needed for my client with multiple locations. Great design, easy to use and a client pleaser – what more could you ask for? Thanks Gregor and ProteusThemes. This was one of my first websites I did with WordPress. The set-up is easy and adaptive. On top of that, the customer service is really great. Thanks to Mark, all my questions were answered within no time and solved my issues to the point. A great theme and a great team. Thanks a lot. 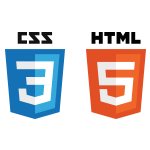 I just have a very very little knowledge in html and i am completely new in wordpress. 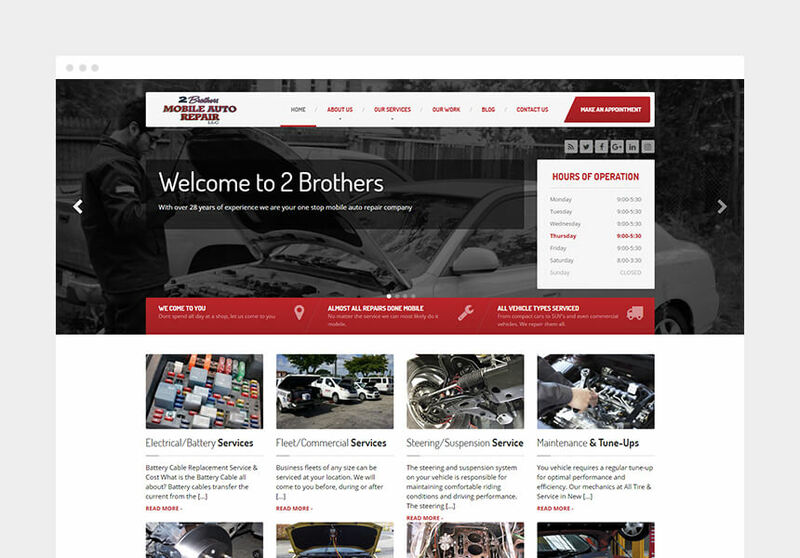 I was already happy to get the installation of wordpress done…but with capress I could manage to create a completely awesome website for my brothers company. All the theme options word very intuitive…Another wonderful thing is the live costumizer…you see directly what part changes when you change it. 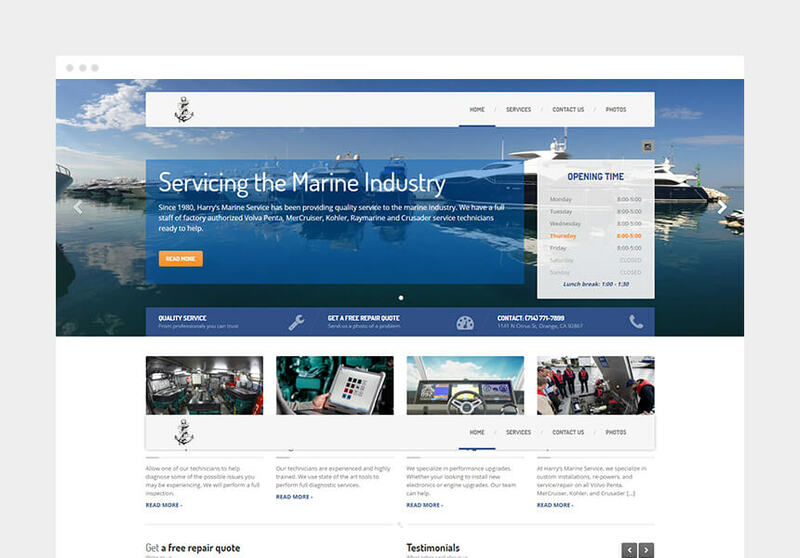 So if you are also very new in wordpress and html you will also just need some days to create an awesome website ( i also created the content in that time; images and texts). So buy capress and do something awesome! The template is very easy to work with and customize. 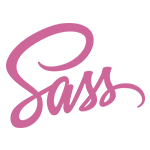 Any difficulties or special requests that I have had have been easily quenched by the wonderful tech support team at Proteus Themes. 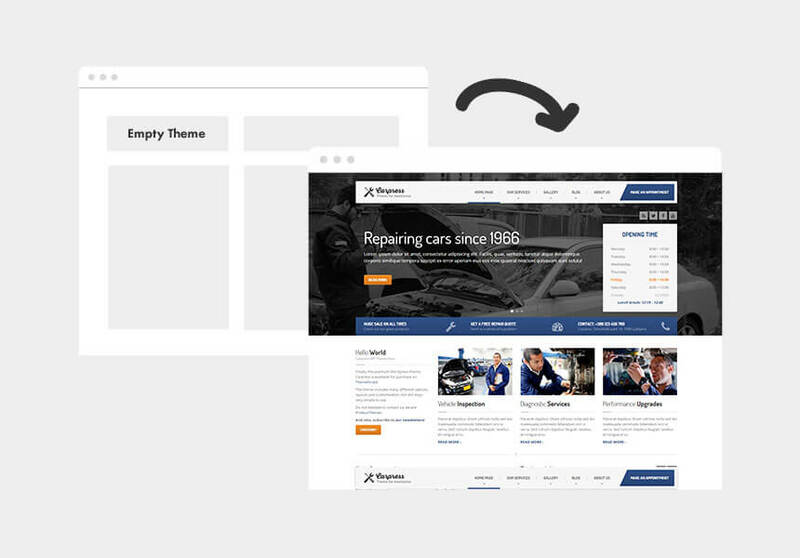 I can see this template having very many uses beyond supporting a body shop … It is a great template full of customizable options. I highly recommend Carpress, and Proteus Themes. Hello everyone. 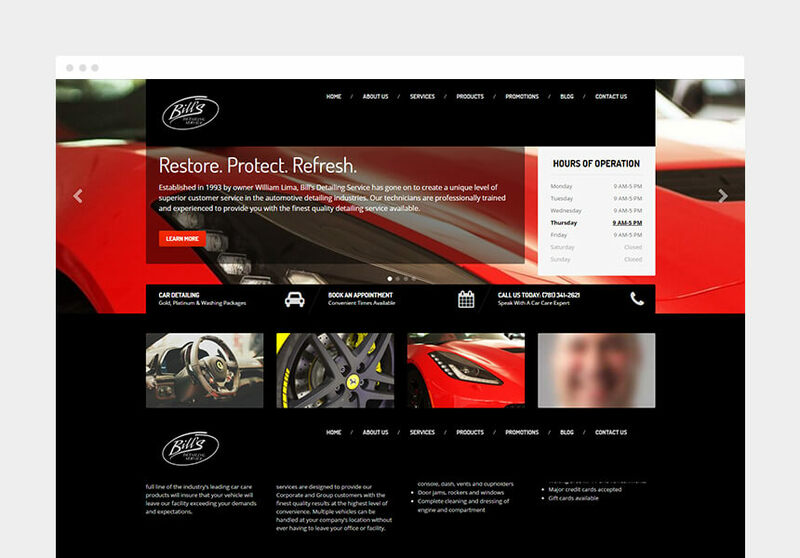 I know most of you are programs but I work in auto repair and i have to say this is the best theme I have seen. 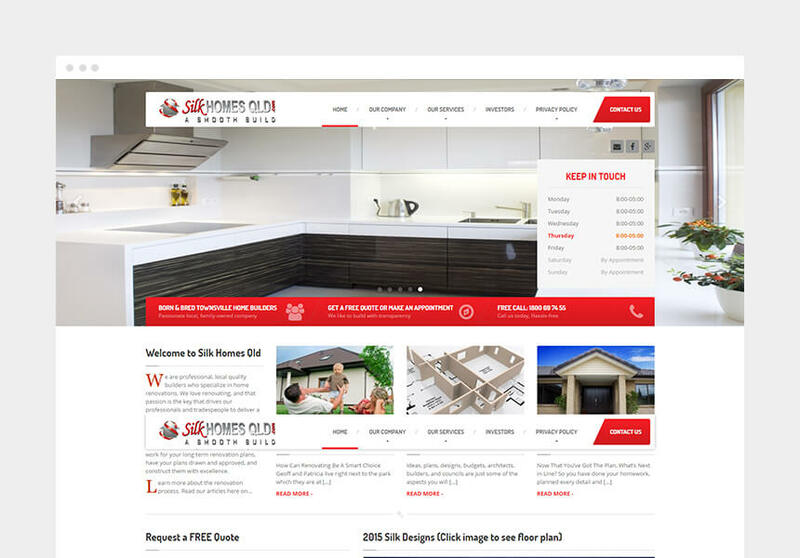 We had a few customers try the website and they said it was very easy to navigate. I feel this theme gives us the same quality website that the big chains have. 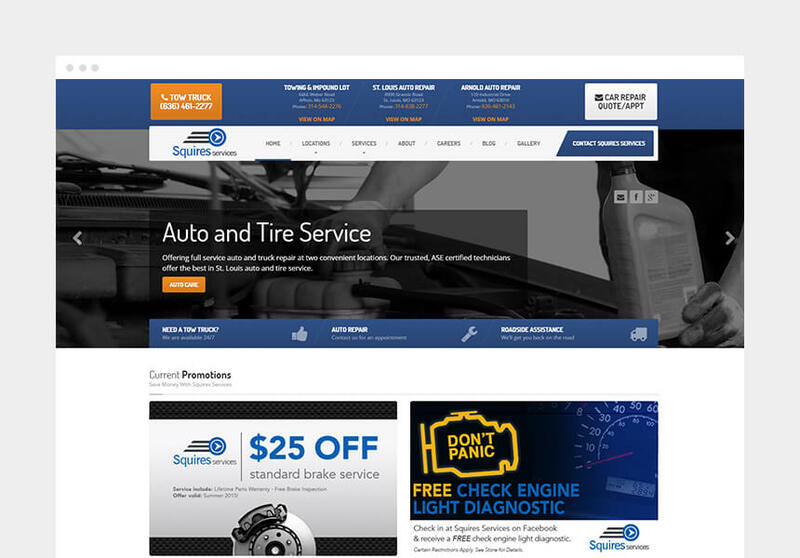 I recommend this to anyone looking for an auto repair theme. Great Theme, and tremendous support..! A very quick response to the one question I had..! Documentation is great. I will definitely use Proteus Themes again..! I have no hesitations in providing Proteus Themes a 5 star rating. Lovely and simply to use theme. Excellent customer support by a team who really care about their customers. One of the best authors on Themeforest.